This morning NAGE members showed up bright and early to protest a recent push to privatize the MBTA. 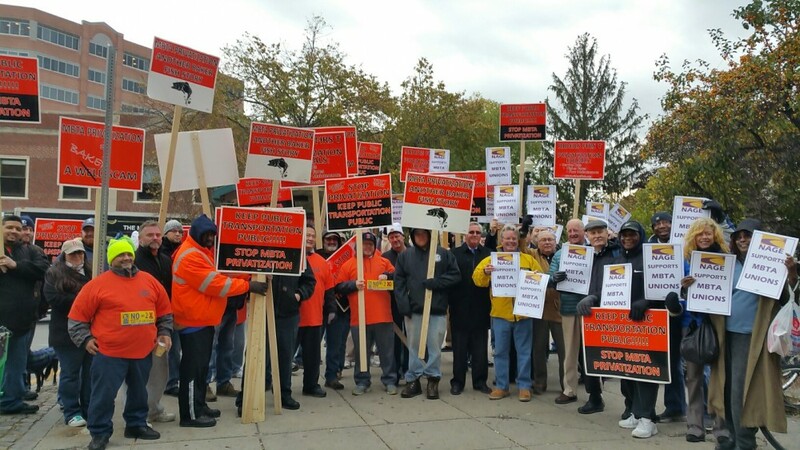 NAGE members protested with our brothers and sisters at the Quincy Center MBTA station while commuters began their work day. Thank you to all that showed up and participated. To see more please see our most recent Facebook post with photos by clicking below.